Teaching you is our passion. That’s the cornerstone of our company. Since inception, we have helped over 20,000 existing and aspiring CPAs. We began out as HTKConsulting in 2012. Our goal at the time was to help aspiring CPAs by publishing condensed and to-the-point online notes on the various professional CPA competencies – all free of charge! Little did we know at the time that HTK Consulting would go on to help over 20,000 existing and aspiring CPAs with professional education and training across Canada. Throughout this time, our team has grown to include highly-qualified and respected instructors: both in the professional and academic realms. Collectively, our instructors have decades of practical experience at highly-respected CPA firms and lectureship roles at leading Canadian universities and CPA Canada. We have met and heard from so many of you. And after listening to your encouraging feedback – on how we helped you accomplish your professional and academic goals – we are committed to continue building on our passion and success. This is what ignites us. In 2018, we rebranded our company to HTKAcademy to better align with our mission. We have many things in store for you: up-to-date articles, building on our signature notes, live seminars, online courses, and online webinars. We hope to continue to be a part of your professional development process and look forward to meeting you at one of our upcoming seminars. Extensive professional experience at top accounting firms. Our clients include leading universities in Canada. Canada's largest source for free technical notes for CPA students. Babar is an experienced cross-border tax professional with a focus on Canadian and US tax compliance as well as planning. Babar has over ten years of experience working on the taxation of high net worth individuals and private corporations. His most recent work experiences include working with Ernst & Young and KPMG. He has significant experience working on voluntary tax disclosures, foreign asset reporting, US foreign trust and PFIC reporting, expat tax matters, audits & appeals and tax policy administration. Babar also has extensive experience dealing with various provincial, federal and state-wide (US) revenue authorities, primarily in Canada and the US. He is also a teaching enthusiast. He has taught various Financial Accounting, Management Accounting, IT Audit, Statistics and Strategic Management courses at the Schulich School of Business to the BBA, MBA and MAcc programs. 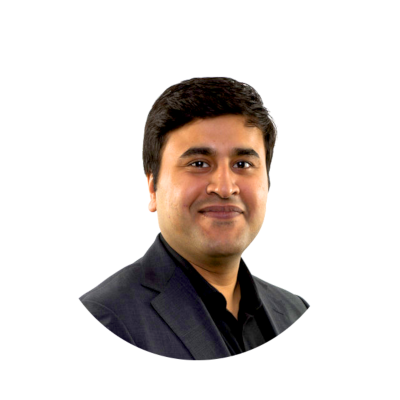 Haroon obtained his Bachelor of Business Administration degree from the University of Toronto before qualifying as a CPA, CA in Canada and as a U.S. CPA in the State of Illinois. He has also completed all three parts of CPA Canada’s In-Depth Tax Program. 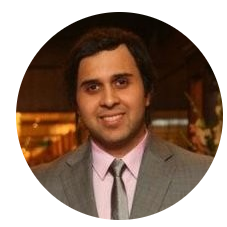 Haroon is a passionate instructor: He enjoys sharing his in-depth knowledge of taxation and experience with professionals and students alike. He develops and trains fellow tax professionals in his capacity as an instructor with various CPA Canada educational programs: Professional Development (PD) seminars, Professional Education Program, and In-depth Tax. He is also a lecturer at the Schulich School of Business, York University and has taught both MBA and BBA students. Public companies – specializes in Tax Notes under IFRS, ASPE and U.S. GAAP for Canadian, USA and Foreign subsidiaries. The preceding clients ranged from $5 Million – $45+ Billion in revenues. Private company services – specializes in reorganization, the sale of a business, distribution planning, insurance, and estate planning. Seher is a tax and finance professional. She obtained her Bachelor of Business Administration degree with a specialization in Finance from the University of Toronto before working in the financial sector for world-renowned organizations. Seher realized that her true passion is to work with small, owner-managed businesses. She left her role in a large finance company to open a small boutique practice providing tax and financial planning for such businesses. 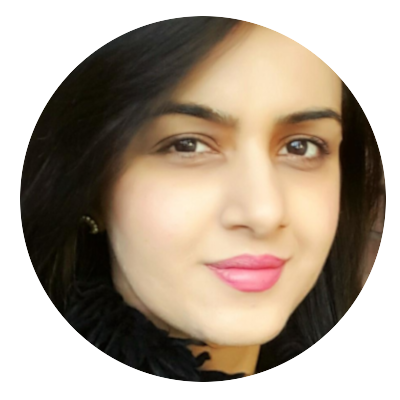 Seher also has an extensive background in web development: specifically in developing online learning management systems. As our course director, Seher is responsible for putting together the nuts and bolts behind our platform, including our online courses and on-demand seminars. Sawaiz is our IT specialist. He handles our day-to-day IT needs. Sawaiz obtained a B.A. from York University prior to starting his career in the IT industry. "I just wanted to thank you both very much for the excellent Corporate TaxPrep course.. it was exactly what I was looking for, and time very well spent. I look forward to taking more courses with you both, and working on files as we go forward." "I am a CA student writing the UFE this September 2013 and I just wanted to tell you guys that you have done an excellent job on this website. Your study notes are very helpful and concise and I use them all the time." "I wanted to thank you for taking the time to come in and teach us about personal tax and corporate tax. The way you provided us with your expertise and taught us how to handle real life cases has strongly convinced me to pursue tax as a career as well." "Kudos to you for this venture!" "Very knowledgeable! I am glad I attended." "This course plugged all my knowledge gaps. Look forward to taking additional courses"
"Very useful and practical courses, very helpful instructors. Will definitely recommend to my friends." "This course target the tax prep software. Instructors are very knowledgeable and organized. The course is case based, very helpful and useful. It differentiated with courses which we studied on campus. Strongly recommended." "A very helpful training session. I've gone through training on personal tax before but this one gave me a more general and comprehensive view of the whole tax system." "It was very well organized. I learned a lot and the instructors were definitely very knowledgeable. Keep up the good work! I'd love to attend more sessions." "The materials covered are all extremely useful which will be very beneficial to my job." "Very knowledgeable people! I like how one person explains while the other goes around to help." "The session was very practical that allowed one to apply the theory learned immediately."